With all of the tragic news surrounding the tragic suicide of Rebecca Ann Sedwick attributed to cyberbullies, we thought you might need a little joy in your life. 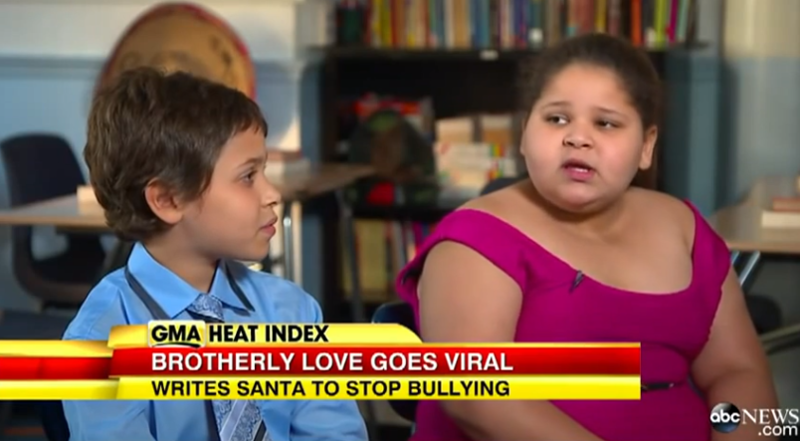 Watch this uplifting video about a brother who wants nothing more but to see the bullies stop messing with his sister. Imagine what would happen if all children and teens showed this compassion?